teriflunomide, 14mg, film-coated tablets (Aubagio ) SMC No. 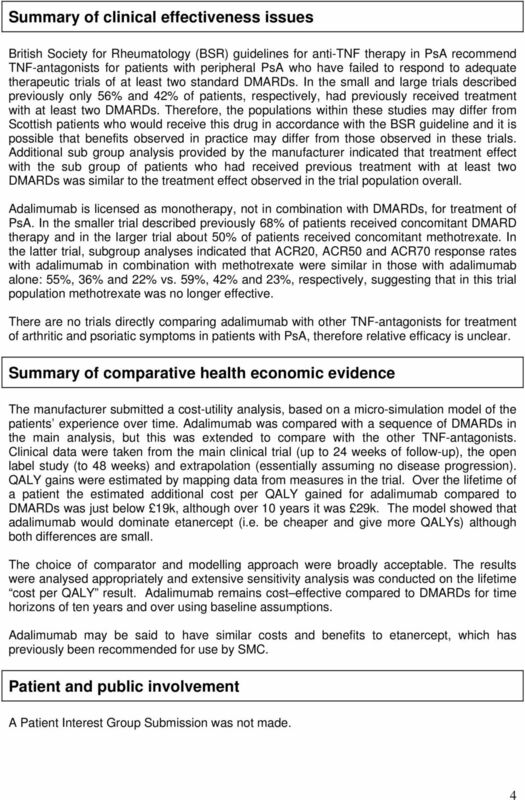 (940/14) Genzyme Ltd.
ulipristal acetate, 5mg, tablet (Esmya ) SMC No. 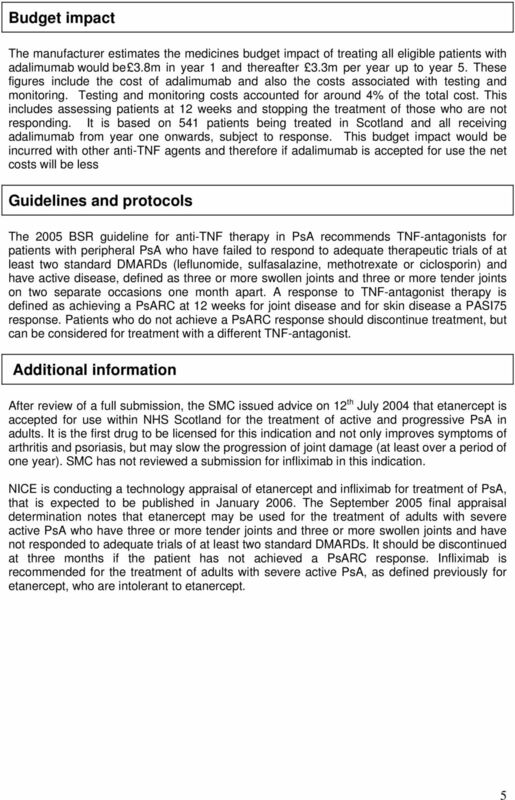 (834/13) Gedeon Richter UK Ltd.
Can Rheumatoid Arthritis treatment ever be stopped? 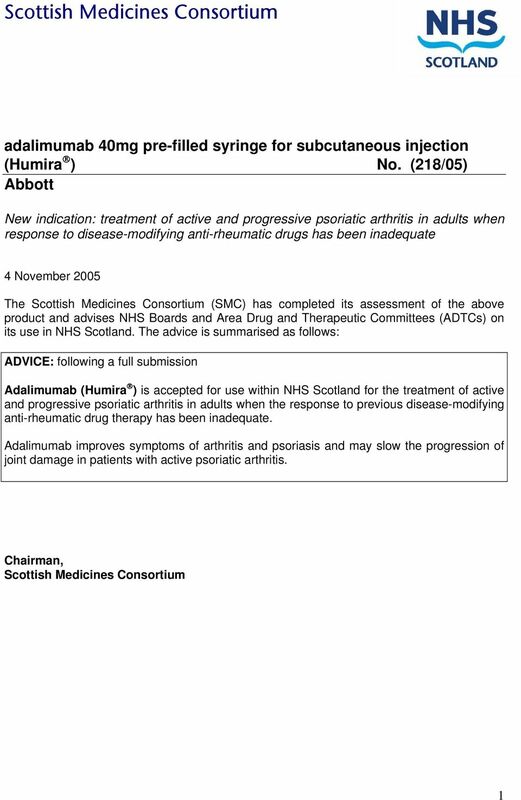 Adalimumab Drug information. 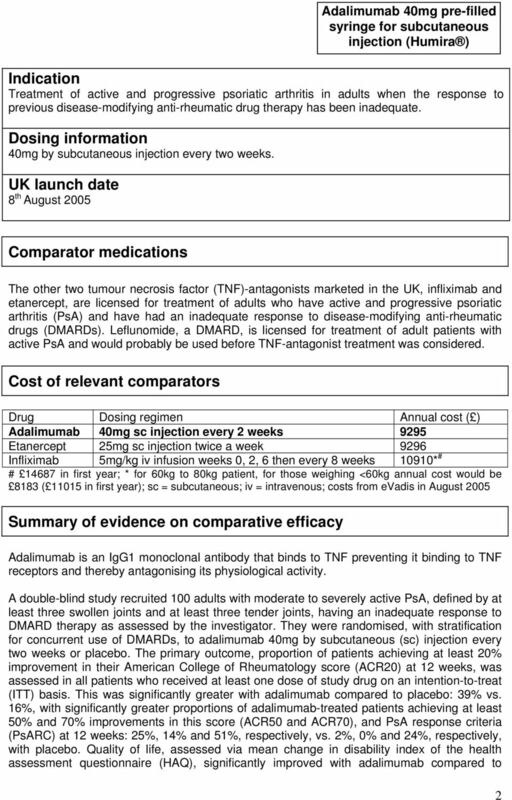 Adalimumab is used for several types of inflammatory arthritis. peginterferon 63, 94 and 125 microgram solution for injection in pre-filled syringe (Plegridy ) SMC No. 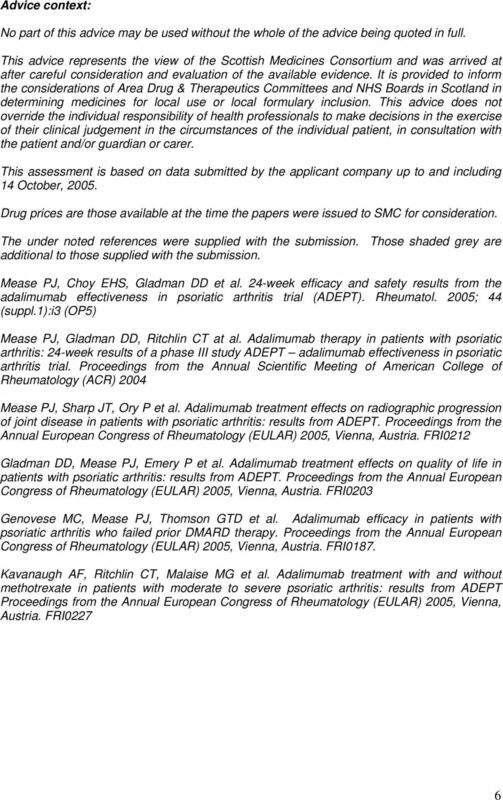 (1018/14) Biogen Idec Ltd.
to Part of Dossier: Name of Active Ingredient: Title of Study: Quality of life study with adalimumab in rheumatoid arthritis. ESCALAR. 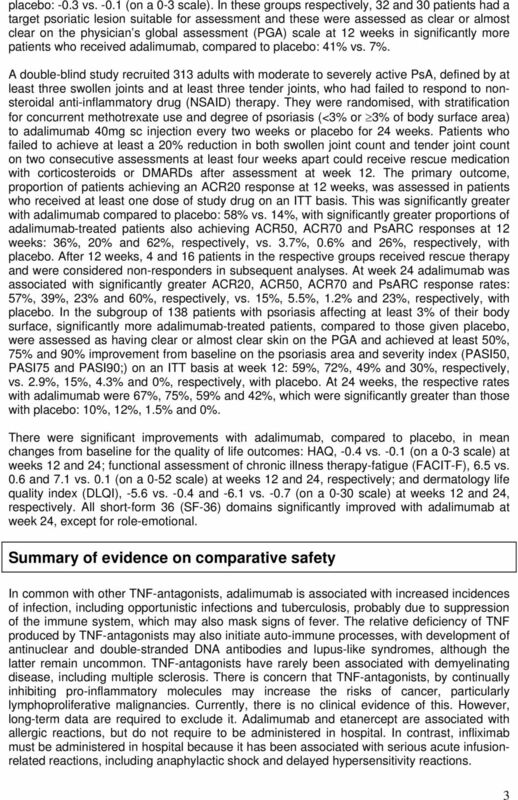 Is Monotherapy Treatment of Etanercept Effective Against Plaque Psoriasis?